Prescott's mile high elevation provides natural beauty that is reflected ni anumber of small lakes, rock mountains and forest, intertwined with hiking trails. Prescott is a city of 43,000, total metro area of approximately 120,000 population. Considered rural by some, but has multiple colleges and most aspects of urban living; centrally located 90 minutes north of Phoenix and 90 minutes south of Flagstaff. Outdoor recreational opportunities abound with approximately 500 miles of walking/biking trails. Events almost year-round on the downtown Courthouse plaza. Small, nearby lakes attract kayakers and fishermen. Casinos on tribal land within Prescott city boundaries. A myriad of cultural opportunities--professional to home-grown. Many local restaurants to choose from. Experience year-round events in the beautiful downtown Prescott area. Cultural activities of all kinds--professional to home-grown. 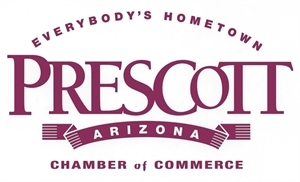 World's Oldest Rodeo, live music series, Bluegrass Festival, Cowboy Poets Gathering, annual film festival, Yavapai Symphony and Phoenix Symphony concert series, Prescott Pops concert series, community theaters, and art galleries. The three major museums, Yavapai Performing Arts Center, Prescott Center for the Arts, Elks Performing Arts Center and the Arizona Philharmonic are just a few of the places one will find genuine Prescott cultural experiences. Limited bus routes in Prescott; multiple taxis. Local airport with some passenger service daily to Los Angeles and twice weekly to Denver. Two hours from Sky Harbor International Airport in Phoenix; multiple shuttle buses operate between Phoenix and Prescott. High-quality of medical care including heart and breast centers at Yavapai Regional Medical Center. VA Hospital in Prescott. Yavapai Regional Medical Center is regional and offers as variety of specialized medical services. Jan 24.0 F° 38.0 F° 52.0 F° 1.6 "
Feb 27.0 F° 41.0 F° 55.0 F° 1.9 "
Mar 31.0 F° 45.5 F° 60.0 F° 1.7 "
Apr 37.0 F° 52.0 F° 67.0 F° 0.8 "
May 45.0 F° 60.5 F° 76.0 F° 0.5 "
Jun 53.0 F° 69.5 F° 86.0 F° 0.3 "
Jul 60.0 F° 74.5 F° 89.0 F° 2.7 "
Aug 59.0 F° 72.5 F° 86.0 F° 3.1 "
Sep 51.0 F° 66.0 F° 81.0 F° 2.0 "
Oct 40.0 F° 56.0 F° 72.0 F° 1.0 "
Nov 30.0 F° 45.5 F° 61.0 F° 1.1 "
Dec 23.0 F° 37.5 F° 52.0 F° 1.5 "
4-season environment with some snow in winter, but beautiful summers with high temps in the 80's and overnight lows in the 50's. Low humidity most of the year. Average annual high temperature is 70 degrees with 300 days of sunshine per year. Condos Over 50 Communities Almost every housing option can be found in Prescott. Home care Senior center Visiting nurses Most senior assistance programs can be found in Prescott. Volunteer opportunities exist almost everywhere in Prescott. From the Chamber of Commerce to the local hospital, library and public schools, you can easily find something to do!